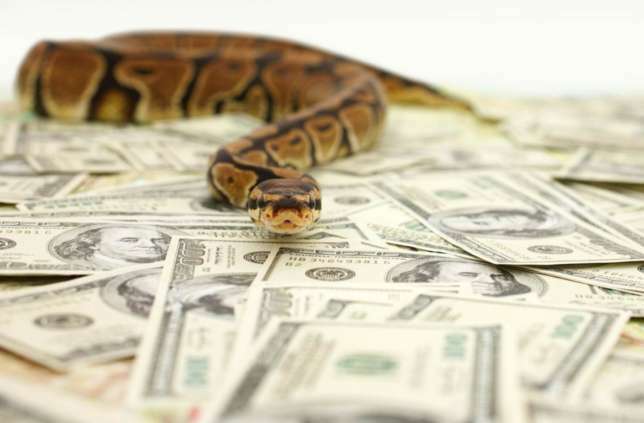 A total amount of N36 million (K70, Million) has been discovered missing from Nigeria`s examination office of Joint Admissions and Matriculation Board (JAMB) and the blame has since been put on a mysterious snake which is reportedly to have been sneaking in the office and stealing the money. Reports say, a team of auditors stormed the JAMB offices in order to account for every money that the office has been generating through its various services. But it was discovered that a total of N36 million (K70 Million) was missing in the office prompting the auditors to quiz the person responsible as to where the money had gone. In their surprise, the auditors where told by the woman responsible for keeping the money in the office, Philomina Chieshe that it was her housemaid who connived with a fellow JAMB officer to steal money from the office spiritually by sending a snake. She said, “It was a mystery to me too. I have been saving the money in the bank, but I found it difficult to account for it. So I started saving it in a vault in the office. But each time I open the vault, I will find nothing. I became worried and surprised how the millions of Naira could be disappearing from the vault. However, her response was deemed as senseless and she has since been dismissed from her position.